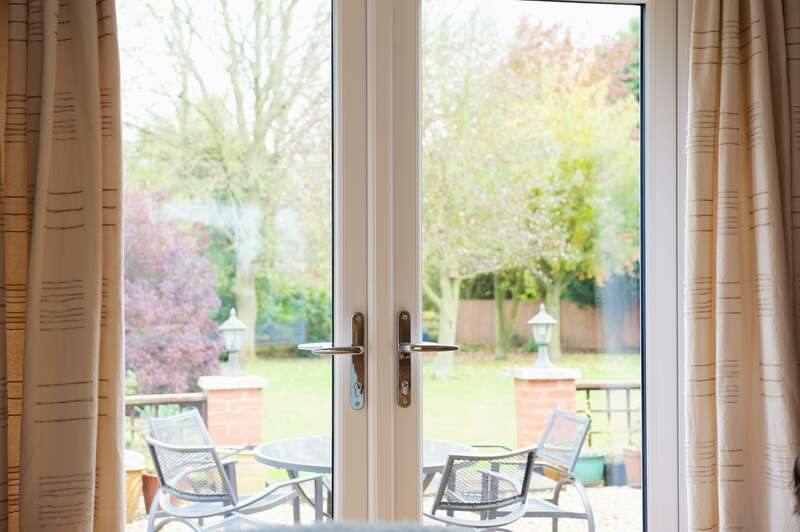 Weatherproofing your doors during the winter period is highly important. As the temperature drops and we experience more rain than usual our doors experience more abuse from the elements. Over periods of sustained weathering, water finds its way into the cracks in your doors and can form ice an expand, further cracking them leading to a loss in energy efficiency. Typically, doors will have caulk around the edges to prevent draughts or the elements from seeping through. As your door goes through general wear and tear, the caulk will naturally start to deteriorate over time. When you begin to notice gaps or cracks forming on your doors weather sealant, it may be the best time to remove and replace it. In order to remove the caulk, simply use a flat screwdriver or knife to carefully remove the old caulking from your door entrance. We suggest you take off as much caulk as you can to make it easier to apply the fresh layer of caulk. Clear any debris or left caulking with a damp cloth before applying the new caulking. Ensure that you have cut the tip of the nozzle at a 45-degree angle to caulk with ease. A weather strip is a piece of material that is attached to the edge of the door to stop rain or air from entering the house. A door sweeper is usually attached to the inside of the door at the bottom. With most doors, the weatherstrip can be removed by simply pulling them out since they’re often tucked into a groove in the frame casing. With other doors, it may be held in place using fixtures and screws. Simply remove the screws and fixtures and you have access to the weather strips. Keep hold of the fixtures and screws to re-attach a new weatherstrip. In both instances, the new weatherstrips will need to be measured and cut to the correct size to prevent overhang, or an inadequate length being chosen. It is important to prepare for the winter by making sure your home is ready to handle the cold to come. Now that you have checked your doors closely for any gaps that may cause draughts, why not take a look at how to insulate your home efficiently. For more helpful tips keep an eye on our blog or get in touch if you have questions for our team.